Connect the scanner to your PC. Most scanners connect via a USB cable. Place the material to be scanned into the scanner, just as though you were using a photocopier. Turn the scanner on, if necessary. Put the portion of the material that you want to copy facedown (so that it’s pressed against the scanner glass). Your scanner may not have a power button or switch, in which case, it turns on automatically when you plug it into your computer. Press the scan button on the scanner, which is the button to acquire a digital image. 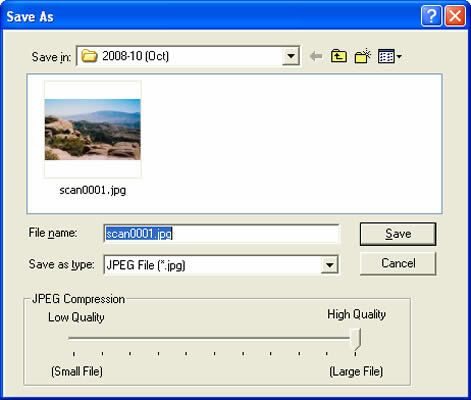 Or, if the scanner lacks a button, run the scanner software in Windows which acquires a digital image. 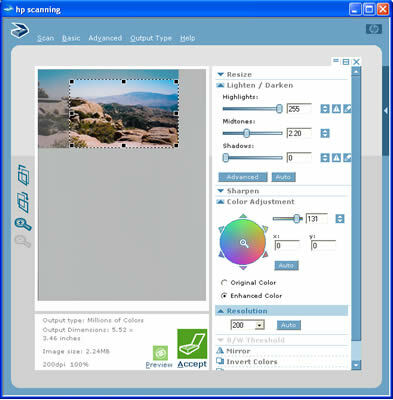 The scanner’s software should display a preview on your computer’s screen. 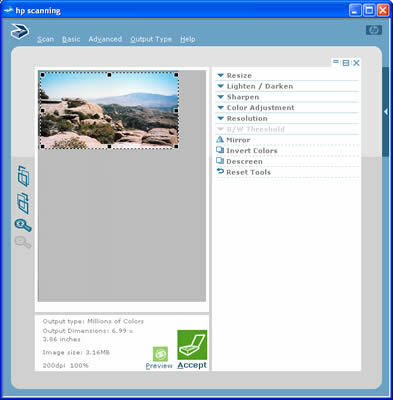 Select the scan area in the scanner software. 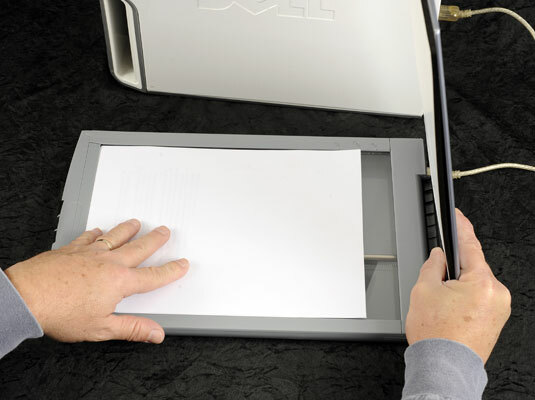 Use a zoom or magnification tool to ensure that you select the proper portion of the scanner glass. The software should have a button that you need to click to scan the image. Save the image to disk. 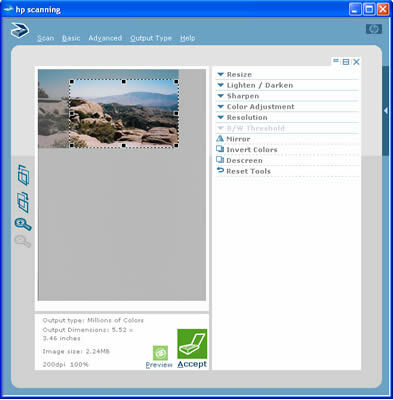 An alternative to saving the image to disk is to open the image in a photo- or image-editing application, where the image can be further refined or edited.